Amongst others: professional dancers, dance teachers, arts and psychomotor therapists, psychologists, movement scientists, physiotherapists, occupational therapist etc. with dance and work experience. 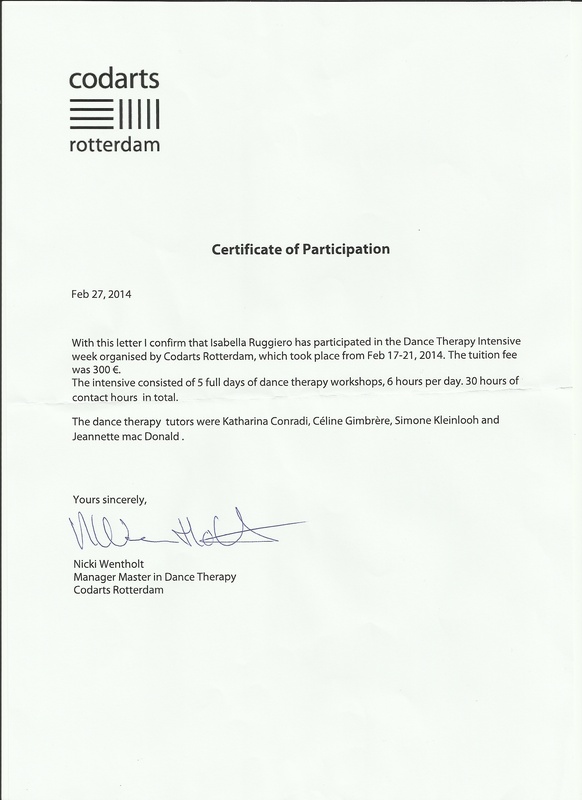 The course can be taken as continuous professional education (accredited by th FVB, Dutch Federation of Arts and Psychomotor therapists) and is strongly advised for people seriously considering to apply for the Master in Dance Therapy, but is also open to everyone interested to know more about dance therapy. The Intensive course provides professionals with the opportunity to experience dance therapy, explore whether continuing into a DT master is desirable and whether a Master’s in Dance Therapy can enrich and deepen one’s own profession. The participant acquires basic knowledge of dance therapeutic methods and receives and processes information about the current professional practice. 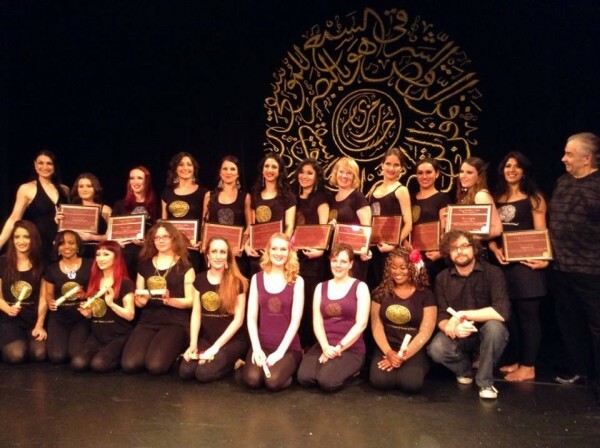 The course provides a strong basis for the Master In Dance Therapy offered at Codarts, which will start with a new group of students in September 2014. Former participants experienced this course as: a way to achieve a ‘deeper and clear understanding of DT which helped to make a choice about starting the Master; being intensive, powerful, inspirational, multi-faceted and also reflective for one’s personal life’. The tutors in this course and programme were referred to as ‘interesting, inspiring, subtle and extremely experienced’. Two groups will be formed if there are more than 25 participants. (as per Nov 18 there are 31 applicants already) The tutors will be the same but the order of the days will necessarily differ. On February 17 and 18 Katharina will introduce understanding of dance as a creative wheel for expression and transformation, working with one’s own creative potential in dance and recognizing personal themes. Introduction in basic DMT theory and methods. This day with Simone (either your first or second day of the week) basic DMT theory and methods will be discussed and explored in which the importance of play, the ‘not knowing stance’, embodied presence and empathic reflection in (therapeutic) relationships is explored. This third or fourth day (depending on which group you are in) will be an introduction to the discipline of Authentic Movement. The experience of entering inner processes will be explored in relation to our own movement and kinaesthetic awareness. By now the group will have spent some time together working, individually, in dyads, small groups and also in one large group. Understanding about the many groups we are part of throughout our lives is an important part of our training and this day will offer a brief insight into this aspect of the course, where we learn not only about our own behavior in groups but also how to manage group processes in our work as professional DMTs. This day (your third or fourth)will be a personal adventure about moving and being moved. Please spend some time for reflection before attending. Where do you fit in this group? What would you like to change about this group if it were possible? How do you feel about the last few days that you have spent together? Evaluation of the past week, closure and looking forward. During this last day we will explore (verbally and non-verbally) our personal/professional identity (personal dance and movement profile) in relation to the past week and the DMT profession. There will be time for discussions and questions concerning the DMT profession/practice and the Master programme.